Are you looking for Long Term Care Insurance? You or they have assets and income you want to protect You want to avoid burdening your family with extensive caregiving responsibilities You don't want to depend on government programs for care. You want to be able to choose where you receive care You want to receive high quality care. 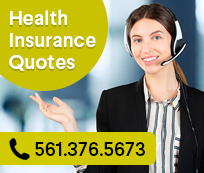 If you live in Florida and are looking for long term care insurance for yourself or your loved ones in the state of Florida or New York, contact us for a free consultation. We will be happy to explain the benefits and peace of mind that comes with knowing you are protected by long term care. Need a Long Term Care Quote?